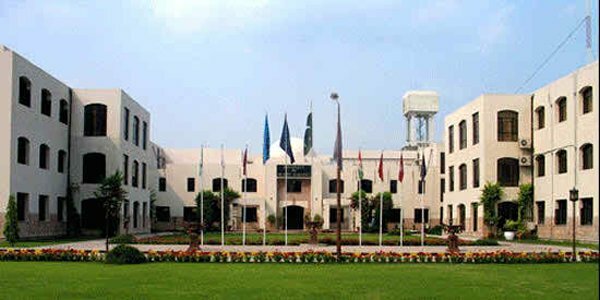 Talking to PakistanToday, a student of Kinnaird College, said that the Physics portion got leaked due to the employees who work at UHS and the private academies. “All the 44 MCQs of physics were uploaded on the social media just after the exam and it is worth mentioning here that no candidate is allowed to leave the examination hall until he or she returns the question paper to the invigilator,” she added. She also said that "I wonders how the same question paper, having the exact MCQs, was posted on social media because it was not possible for a single candidate to recall them word by word." A father of a MDCAT candidate, Dr, Atif, said that he is going to fill a petition against UHS within a few days. It was done due to the people working at UHS and the private academies that take handsome money from students, and the future of 65,000 families have to be secured." Another student Uswah Sohaib said that all the MCQs of Physics were difficult and the numerical oriented that can only be solved with a calculator. Even the qualified teachers were not able to solve without a calculator. Only those students could do who knew the possible answers." But the VC of UHS, Dr Junaid Sarfraz Khan, denied the rumours of MDCAT paper leak, and termed as baseless and fake. He also wrote a letter to the FIA to bring the justice who were involved in this 'conspiracy'. It is also worth mentioning that the same went with CSS a few months ago, and it was also referred to FIA at that time.